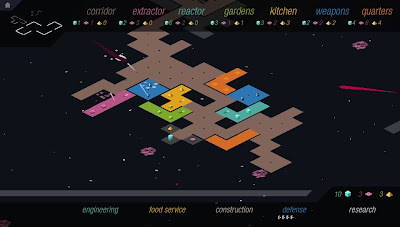 The real time strategy and defence aspects of rymdkapsel show themselves here, as it definitely requires some planning and foresight to determine the optimum location for each type of room. 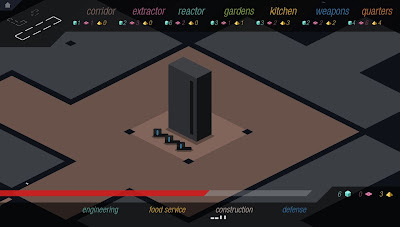 For example, building a new living quarters to produce additional peons requires resources, and if those resource producing/gathering rooms are placed too far away or in an awkward configuration, it will take far longer to create this new room. Place your defence rooms incorrectly, and you'll lose too many minions to the flying red baddies that come after each wave of expanding your fortress. 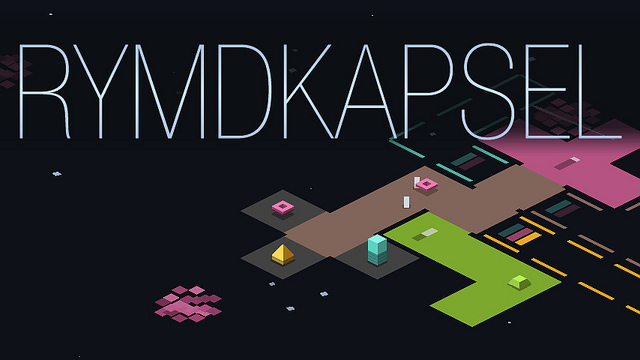 It seems the eventual goal of rymdkapsel is to reach the monoliths scattered about the space-map, assigning your little blocky servants to discover their mysteries. (It's really not a mystery; it's revealed early on that the blocks bestow various buffs, such as speeding up your minions). And that's, well, kind of it. Remember when I said minimalist? This game is it. It looks like it was designed by a master typographer, the clean and elegant lines of the shapes evoking a classic Braun record player, something from Buro Destruct perhaps. Or maybe IKEA. Gorgeous either way. 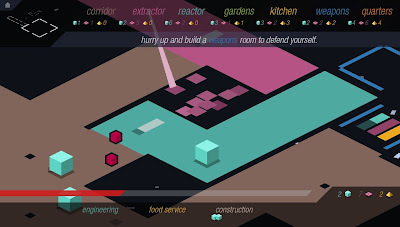 However, not enough to save the player from a bit of monotony - in a game like this, it's the variety that spices things up, and there isn't a lot of it here. Plus, it's slow to get moving and I found myself drifting off or losing focus while waiting for the next room to be built. As such, the gameplay, for some, will shine bright like a burning star - and for others, light up quick but fizzle out just as quickly like one of those paper matches they used to give out at bars. Those looking for whizz-bang, explosions, upgrade trees, and epic battles will be left disappointed. Those seeking a unique, meditative, ambient atmosphere and slower paced gameplay, all wrapped up in an aesthetically astounding package, will be delighted. Download the demo/purchase the Sony Mobile version here (from the PlayStation Store).